The $7 billion school improvement grant program: Greatest failure in the history of the US Department of Education? Despite its gargantuan price tag, SIG generated no academic gains for the students it was meant to help. Failing schools that received multi-year grants from the program to “turn around” ended up with results no better than similar schools that received zero dollars from the program. To be clear: Billions spent had no effect. When Washington spends billions of dollars on something, it’s reasonable to assume it will do some good, especially when the Secretary of Education promises “transformation not tinkering.” But not with SIG. No matter how the researchers crunched the numbers, the abysmal results were the same. SIG didn’t improve math scores. Or reading scores. Or high school graduation rates. Or college enrollment. SIG didn’t improve elementary or secondary schools. It didn’t help schools in Race-to-the-Top states or non-Race-to-the-Top states. Probably the only thing more remarkable than the scope of this program’s failure is that this outcome was absolutely, positively, unavoidably predictable. Starting seven years ago, I warned that this dreadful day was coming. On May 11, 2009, I wrote of SIG. If the ED team believes that we just need to build a better turnaround mousetrap, I’m concerned that we’re about to waste several billion dollars. 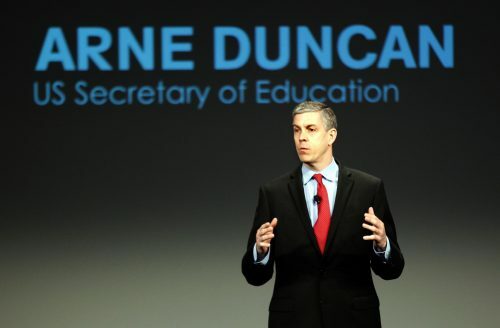 The administration’s fixation on turnarounds is a major mistake…We are about to embark on another ill-fated mission to improve America’s most troubled schools. The Obama administration’s Department of Education recently launched what I believe will become its most expensive, most lamentable, and most avoidable folly. Nevertheless, the Obama administration was determined to press ahead. So in 2010, for the journal Education Next, I wrote the article “The Turnaround Fallacy.” I pulled together the research on “turnarounds;” explained why SIG wasn’t a promising strategy; and recommended a different approach to helping kids assigned to failing schools (namely, new schools, a diversity of options, and parental choice). Two years later, I offered more evidence and extended the argument in my book “The Urban School System of the Future“. To be clear, I wasn’t the only one raising the alarm. For example, Charlie Barone on the left and Rick Hess on the right were skeptical of the program. But the Duncan-Obama team pushed ahead on SIG with fervor. It’s never been all that clear whether they weren’t aware of the history and research or chose to ignore it. (For an administration that claimed to always follow data, always do what’s right for kids, and only pursue what works, the irony is striking.) But they designed and then implemented a program that did the same things that had disappointed when they were called “comprehensive school reform,” “restructuring,” “reconstitution,” or something else—give more money to the very districts running the persistently failing schools and ask those districts to implement a list of mandated interventions. For some reason this administration was certain this approach would work this time around despite the mountain of evidence telling them otherwise. In a decade or so, some other contrarian blogger can add SIG to the long list of failed turnaround efforts. The second-year results were even more discouraging. I wrote about them on November 22, 2013, noting how SIG was following the script of previous failed turnaround efforts. This program did not produce dramatic, transformation turnarounds as advertised. The biggest takeaway is just how perfectly SIG squares with our previous experience with turnaround initiatives: Big hype, big money, paltry initial results, requests for more time and money, and then more paltry results. But the administration pushed ahead. Then more distressing results rolled in, and I drew two conclusions that were unfortunately substantiated by the IES report released this week. The greatest failure in the U.S. Department of Education’s 30-plus year history, and we saw it coming. We probably spent billions of dollars to get the same outcomes as if this program had never existed. But we knew that eight years and $7 billion ago.